A public accuracy test will be conducted for the purpose of testing the accuracy of the tabulating equipment and programs, which will be used to tabulate voted ballots, for the Election to be held on May 7, 2019. The test will take place on Tuesday April 30, 2019 at 7:30 p.m. at the Caledonia Charter Township Hall, 135 North State Road, Owosso, MI 48867. The purpose of this Article is to regulate and control the growth of noxious weeds, grass and rank vegetation in the township, not to affect agricultural crops. No person, whether lands or premises are occupied or unoccupied, shall permit any growth of noxious weeds, grass or rank vegetation to a height greater than 12 inches; nor allow any accumulation of dead weeds, grass, vegetation or brush. Included in noxious weeds are Canada thistle, dodders, mustards, wild carrot, bindweed, perennial sow thistle, Hoary alyssum, ragweed, poison ivy and poison sumac. It shall be the duty of the owner or occupant, in the township, to cut and remove all such noxious weeds, etc., at least once each year, not later than May 25th. Thereafter, as often as must comply with the above paragraph. If any person shall fail to comply with this article, the Township shall cut and remove the noxious weeds, grass or rank vegetation. Other objects may be removed, prior to cutting, to protect equipment or to ensure a uniform cutting. The Township shall keep an accurate account of all expenses incurred with respect to each parcel of land and that statement shall be transmitted to the Township Treasurer. The Treasurer shall add 10% to cover expenses and shall collect the total amount in any manner provided by law, including adding such costs to the real property tax of the property owner. 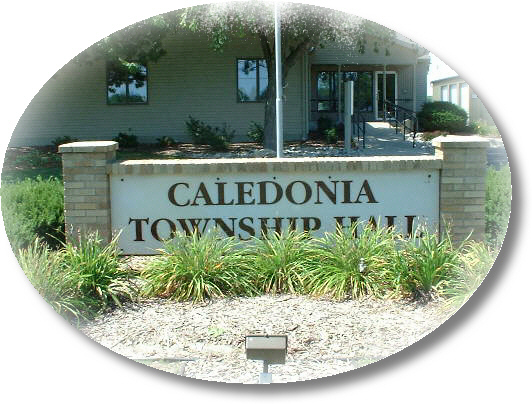 Caledonia Charter Township is an equal opportunity employer.